If you think that ‘link building’ is about making a golf course in the dunes, you are missing out on one of the most important aspects of search engine optimisation for you business website. Having content on your site that customers and potential customers will find useful and informative is perhaps still the most important aspect of Search Engine Optimistaion (SEO) but getting other websites to link to yours and vice versa runs it a very close second. Search engines see getting other websites to link to your site as a ‘vote of confidence’ for the content that you have on your site and it will move you up the rankings for Google and other search engines. Search engines will look at how many sites have a link to you but sheer numbers aren’t the main thing and can in fact be counter-productive. What matters more is how many trusted and authoritative sites are linking to you. Quality links matter more than the quantity of links. The search engines will also see, and rank, how relevant those sites are. In this regard, the search engines are rather clever. They will see a connection between pools and home improvements, between spas and lifestyle and between saunas and wellbeing. Linking to a site that has lots of information about an area relevant to your business will score more highly. 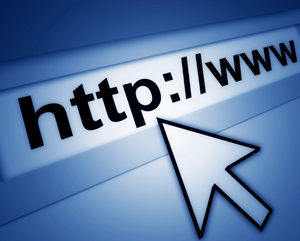 Simply linking to a general business-listing site will be less effective. Where link building can be counter-productive is if you link to a number of ‘paid for’ listing sites that are there simply to try and dupe search engines into thinking your site is popular. Google and other search engines actually penalise that sort of activity. So what are the best links to try and get? Search engines are extremely clever and use high-level algorithms in order to act as much like a real person as possible. The good news is that you are a real person and so you just need to use your common sense. The best way forward is to think what links would make most sense and be most useful to your customers and potential customers. Resource pages – sites that have content that your visitors might find useful. Blogs – comment on and add to blogs that are relevant to your business. Suppliers – companies that supply your business are good potential links. Forums – make contributions that are useful and add value. Local links – search engines are surprisingly ‘geographically aware’ and local directories, blogs and news sites can work well to improve your ranking for your area. News sites – great if you can as they tend to be very authoritative and trusted. Directories – only go for relevant and top quality directories. Social media – increasingly useful for sharing your content and getting others to pass it on. The best way to build links is to be slow, steady and regular. You need to be ‘slow’ because if you suddenly acquire 100 new links in a week, search engines may assume that you have just paid for them and ignore them or worse, penalise your ranking. You need to be ‘steady’ because search engines like to see your site growing in popularity in a natural, on-going and believable way. You need to be ‘regular’ because some links loose their importance over time – blogs for instance – and you need to keep them refreshed. How to go about building links. Getting other websites to link to you can take time. It’s about making friends. The website owners you want links from get lots of requests every day, so you need to stand out from the crowd. Don’t just fire off a bunch of emails asking for links. If the site that you want to link with is relevant to your business then make that relevance clear in your email or call. What content have you got that could be of benefit to the people visiting the other site? Suggest where they should put the link on their site – it shows you have done your homework and thought it through. Link to their site first. Explain what is in it for them. There needs to be some mutual benefit. Be brief, be polite and make it easy to do by having copy/paste code for the link to your site.